Steel in the Air, INC.
How Does a Wireless Phone Carrier Select a Mobile Tower Site? 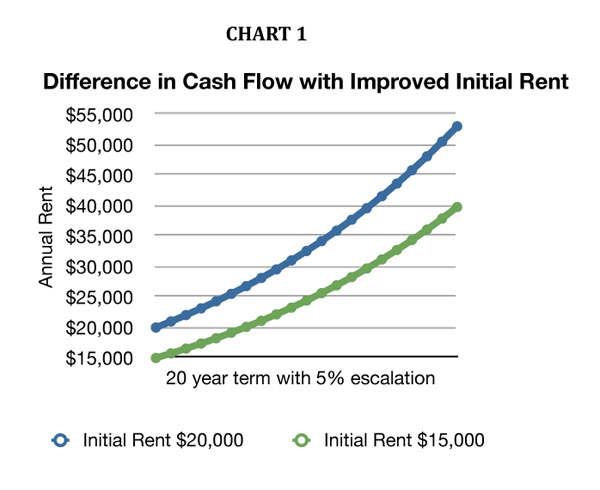 The following illustrates the difference in time over 20 years between an additional $5000 at rent commencement and secondly, the difference in 3%, 4% and 5% escalation rates. What appears to be a small concession adds up over time and its something that the carriers are well aware of, which is why they push for every dollar and escalation point in negotiations. What is also dramatic is the difference in revenue the landowner will receive over time under these two scenarios. In Chart 1, total income with a commencing rent of $15,000 is $535,789, where with a commencing rent of $20,000 it is $714,385, a difference to the owner of over $178,000! 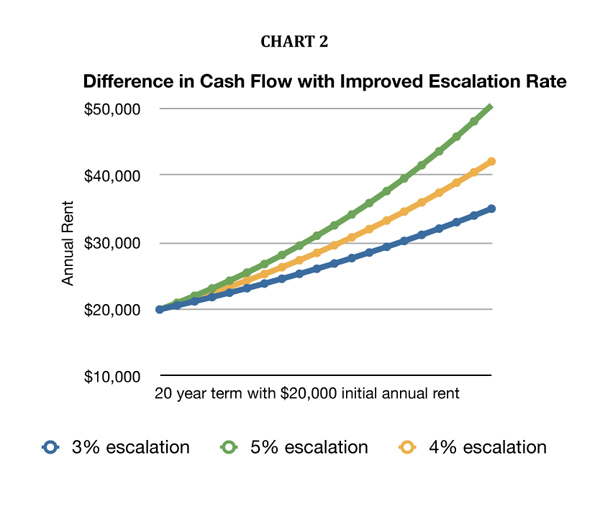 Chart 2 demonstrates the difference between a commencing rent of $20,000 per annum and three different escalation rates. Again it would appear to be a minor concession for an owner, but the difference between 3% and 5% over 20 years results in the rent at year 20 being approximately $35,000 per annum versus $50,000. Also more dramatically the difference in total rent over time is $537,407 vs. $661,319 or a difference to the owner of $124,000!